Sometimes a Great Commotion, by Carolyn J. Rose and her co-author (and husband) Mike Nettleton, will be out in September from Krill Press. This sequel to The Big Grabowski is again set in the fictional Oregon coast town of Devil’s Harbor, and involves many of the usual suspects. The book revolves around the murder of a for-hire tree-sitter, amidst the commotion caused by thousands who flock to the tiny town to view an amazing image scorched into a breaded crab cake. Rose and Nettleton contributed some of their favorite dishes to Killer Recipes, a recently released cookbook, the proceeds of which will benefit the American Cancer Society. Killer Recipes was the brainchild of North Carolina mystery writer, Susan Whitfield, author of Genesis Beach, Just North of Luck, and Hell Swamp. 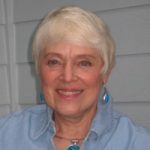 Rose is the author of the recently released mainstream mystery Hemlock Lake, and Rose and Nettleton collaborated on the cozy romp The Big Grabowski. Killer Recipes is available from Cover to Cover Books in downtown Vancouver, and online through L&L Dreamspell Press or through other online sites. Alanen’s book, The Logger’s Encyclopedia: A Road to the Past, was published by PublishAmerica in 2008. Samantha Ducloux Waltz was recently interviewed by Amy Hunold-VanGundy, co-editor of The Ultimate Runner. Samantha’s story, “My Running Partners,” appears in the anthology, which will be available in bookstores in May. Waltz’s interview, which also features other running stories and advice for writers, is available here. Two of Samantha’s stories, “The Granddaddy” and “T-Shirt Tales,” will appear in Chicken Soup for the Soul: Runners to be released July 13, 2010. In “The Granddaddy” she encounters the granddaddy of all bull moose on a running trail in Anchorage. In “T-Shirt Tales” she faces “The Wall” during the Cascade Runoff. Her book will be a fun gift for anyone who runs, hopes to run, or once upon a time tied on their running shoes and headed out the door.